I got a great laugh today while I was walking in the park. I was listening to my Catholic Answers podcast. That is the show where people call in with all their faith questions. They air it on Catholic Radio here but I can only get Catholic Radio in the car and I like to listen to it other times too. Of course I am always swearing at it thinking the questions are stupid and the answers are incomplete. That is me, always feeling superior. However, today! Today cracked me up. The hosts had just gotten through taking a call. They announced a break. "OK, Nicole, thanks for calling in," they told the caller. "We'll take the rest of your calls in just a second. Joe, Tom, Jennifer, wait on the line. We'll be right back." Then they slammed into this Elmore James guitar solo. That is what cracked me up. I know it was Elmore James. I just know it. Back when I listened to the blues Elmore James was my favorite guitarist. I loved how intense he was, how he wailed and how he tore up that guitar. I loved this song. Well, I loved all of them. Elmore James died of a heart attack when he was something like 45 and it is no wonder. Speaking of him being dead, back before I was a trad Catholic my friends used to bug me into going to Lily Dale where the psychics were. And Elmore James tried to contact me there! That was how bad things got. I wrote about that once. Should you want to relive it you can do that here. But be warned! It is a scary story. Back to today. The solo they were playing on Catholic Answers was on for only about five seconds but I recognized it. In my head I have this immense database of Elmore James guitar solos and this one registered. 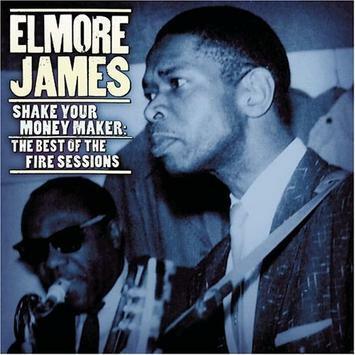 Lots of people imitate Elmore James but I knew it was he. I knew it. Time was I would have been able to tell you what song it was. Now my mind is too full of Leonard Pennario and so my Elmore James mental files have become somewhat neglected and jumbled. I am starting to wonder. What if now that I cannot go to Lily Dale, Elmore James has decided to contact me through the Catholic Answers radio show? I had better not ever call in. I do not want to encourage him.